As an Oakville resident, a walk in tub will enable you to bathe in comfort and safety, despite physical limitations and limited mobility. Safe Bathing Canada offers walk in tubs that allow easy, safe access that allows you to step over a low threshold, rather than having to climb over a high bath rim. After closing the watertight door behind you, you can safely seat yourself in the tub. Heated seats and fast-drainage systems make it easier to stay warm on colder days. A range of door configuration options (left, right, in, out or slide up) make it easier to find the perfect safety tub for your requirements. 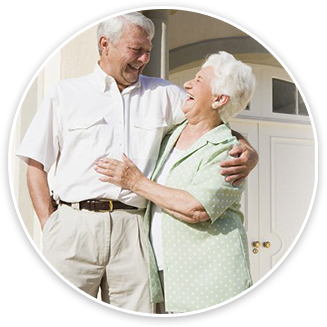 Oakville residents who are in wheelchairs or who have larger frames usually prefer doors that slide away. This option is also useful in smaller bathrooms. Here at Safe Bathing Canada, we want our Oakville residents to be ecstatic about their walk-in tubs. That's why we commit to providing quality services via our team of knowledgeable, helpful and expertly trained consultants and manufacturer trained installers. 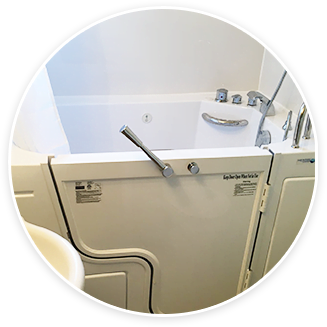 Call us today at 1-844-400-SAFE(7233) to book a free in-house consultation, expert guidance and to find out how you can own your own walk-in tub from as little as $5 a day.